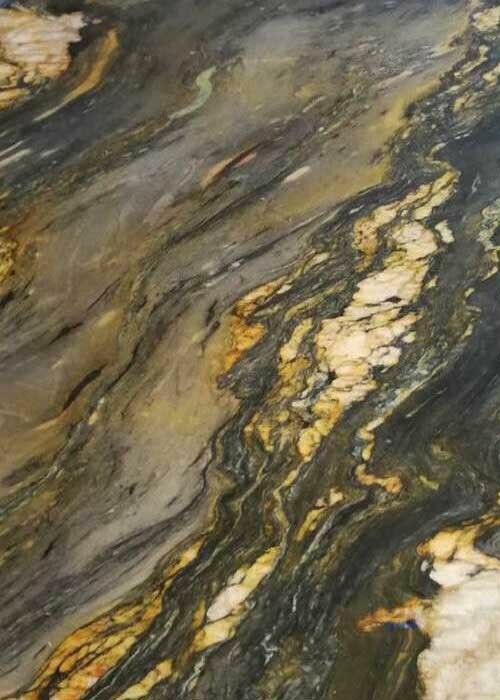 Golden brocade is a recently popular marble from northern China. 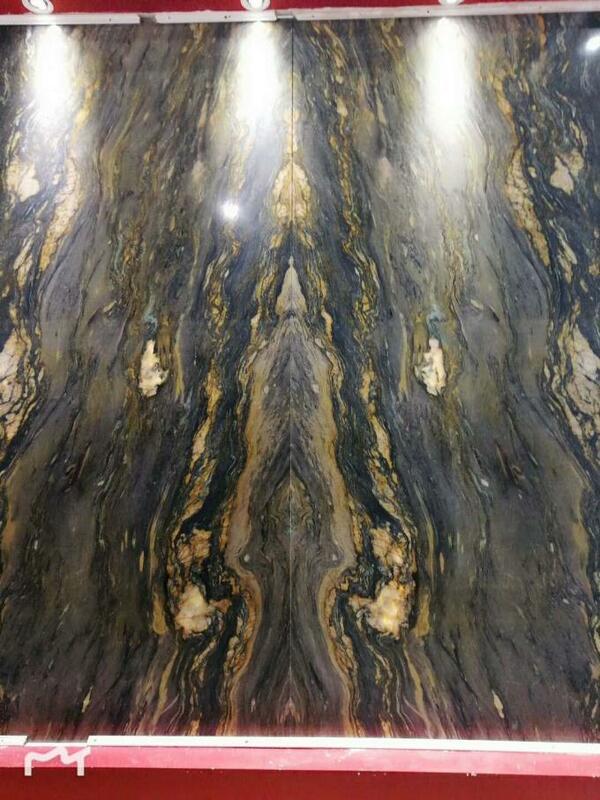 It has big golden pattern with green and grey color as background. 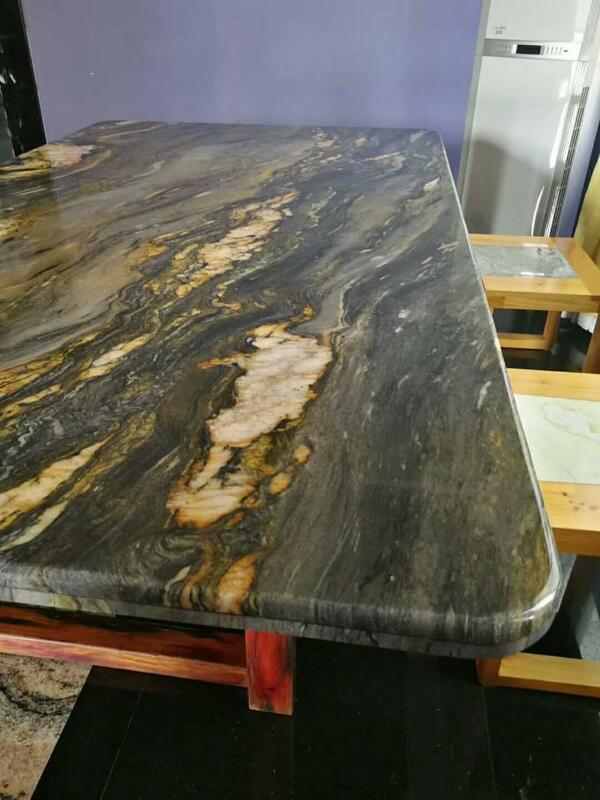 The marble is very beautiful after polishing. Mainly used for processing into a variety of shapes, plates, as a building wall, floor, table, column, but also commonly used in commemorative buildings such as monuments, towers, statues and other materials. Marble can also be carved into arts and crafts, stationery, lamps, utensils and other practical works of art. 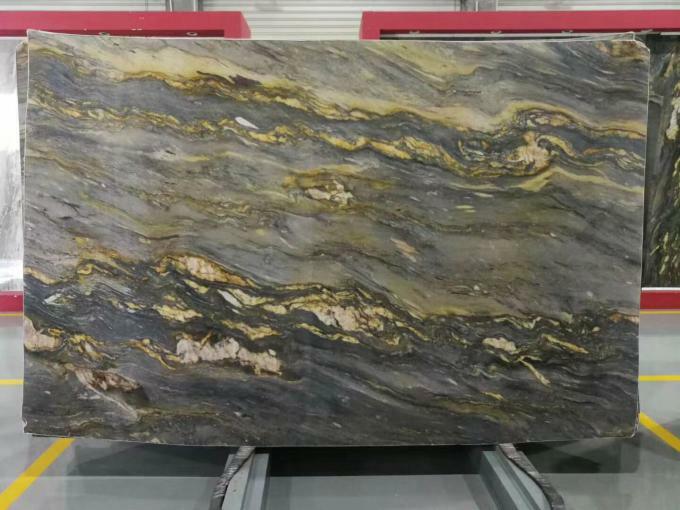 Marble General physical properties are relatively soft, which is relative to granite. 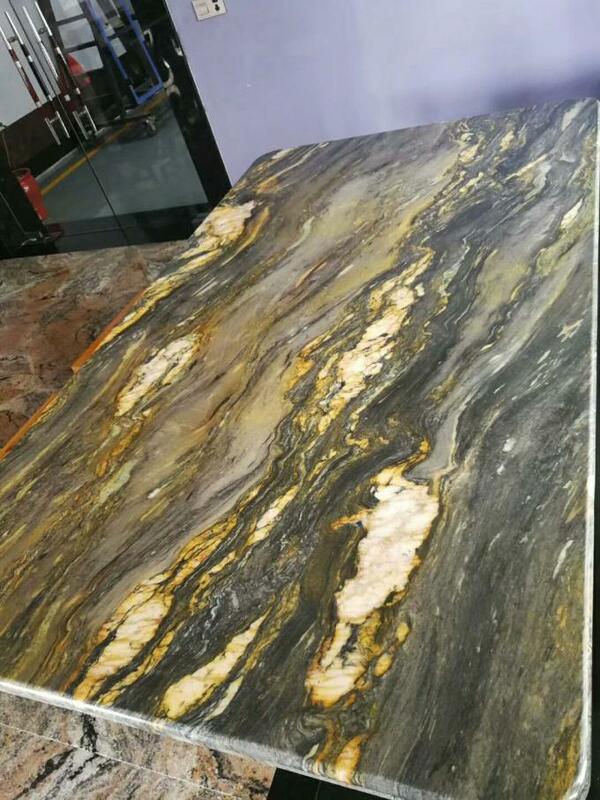 In the interior decoration, TV countertops, windowsill, indoor floor and so on suitable for the use of marble. Marble is the name of the product, not the definition of petrology. 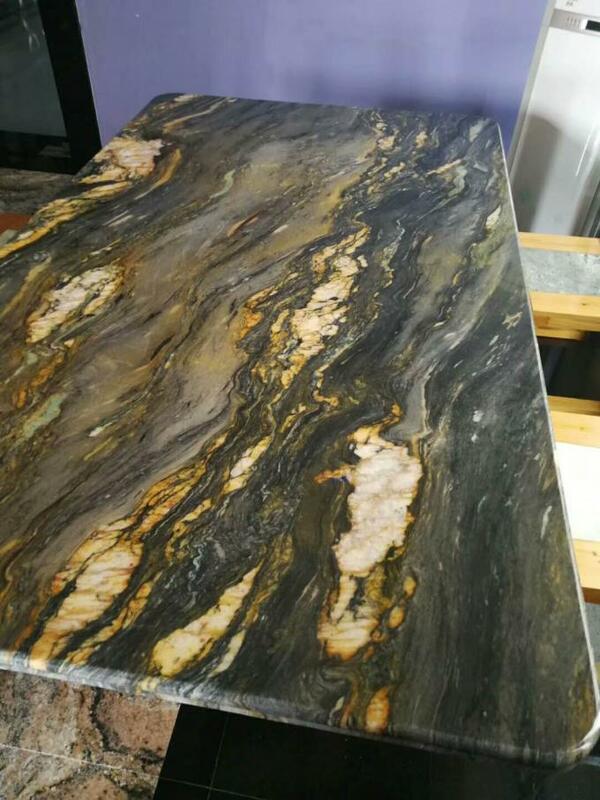 Marble is a large category of natural building decorative stone, generally refers to the decorative function, can be processed into building stone or handicrafts of the spoiled or unspoiled carbonate rock.